Since January I’ve been testing out a unique and amazing new product from the natural skincare brand, Origins. It’s a serum that is aimed at women in their twenties who don’t need acne control products and aren’t quite ready for “anti-aging” products. The Original Skin Renewal Serum with Willowherb can be used both morning and night to minimize pores, smooth out roughness and de-stress skin, leaving your face feeling fresh, vibrant and glowing. I know for me, during the winter months my cheeks get tiny red bumps on them from the dry climate we expierence here in Utah. When I started using this product back in January, those tiny red bumps were ever present but after applying the serum to my face both morning and night for the last two months, I can’t believe the drastic change I’ve seen. 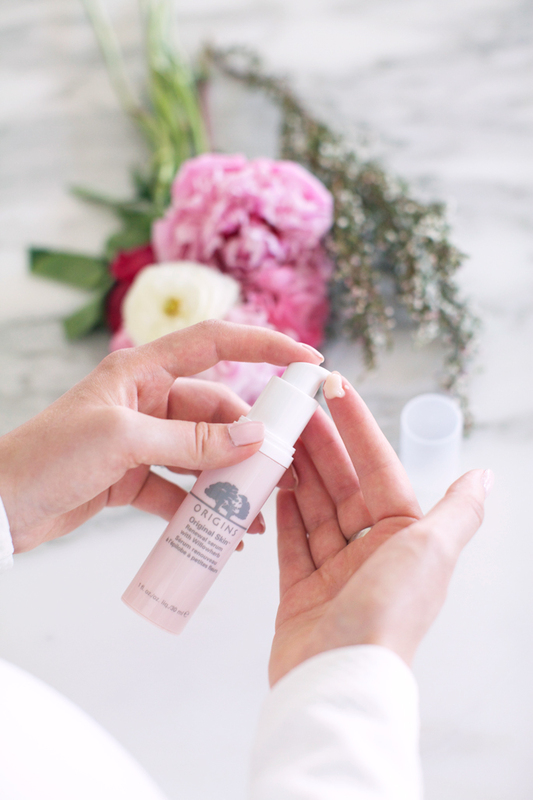 My cheeks are smooth again and this serum has now become a staple in my skincare routine! The formula is a very lightweight gel, which works well under makeup and should work for most skin types (I have sensitive skin). 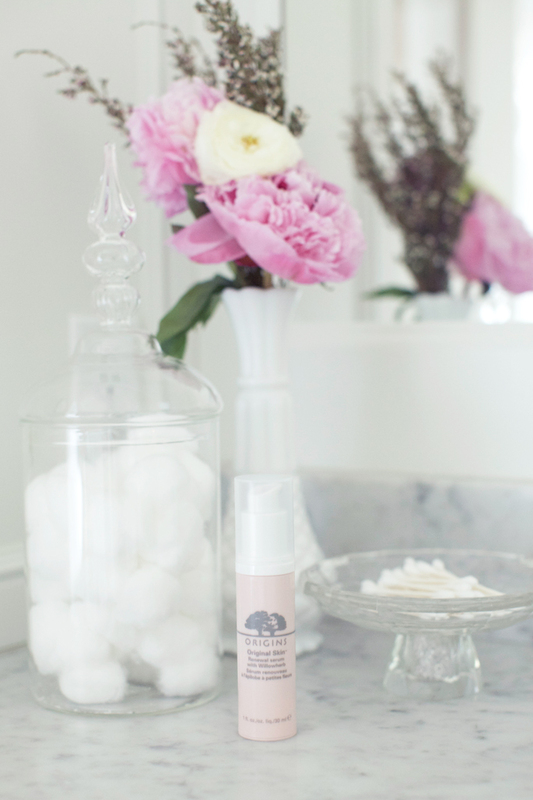 Sidenote: I LOVE the packaging, the light pink bottle looks perfect displayed on my vanity! If any of you get this product and try it out, let me know what you think and if you notice results like I did! Brought to you by Origins. I’ve never even heard of this product so thanks for the review! It sounds great! http://trendkeeper.me .. ONE MONTH! Who’s with me?! I’ve been using this for the past month and i’ve noticed a huge difference in my skin – it’s definitely had a calming effect, and my skin looks better than ever. Origins do some lovely products and are definitely one of my most trusted brands. Hi, How are you using it? Steps I mean ! I really like the brand. I have never tried that serum, but I swear by Tracie Martyn’s firming serum!!! I love it!! I have just started to use Origins and think I might have to pick this up! Thank you for the review, I’ve never tried Origins. This sounds like a wonderful product. Will have to try! This sounds amazing! I might have to splurge on this the next time I want to treat myself to something nice! Very cool! I can’t wait to try this product! 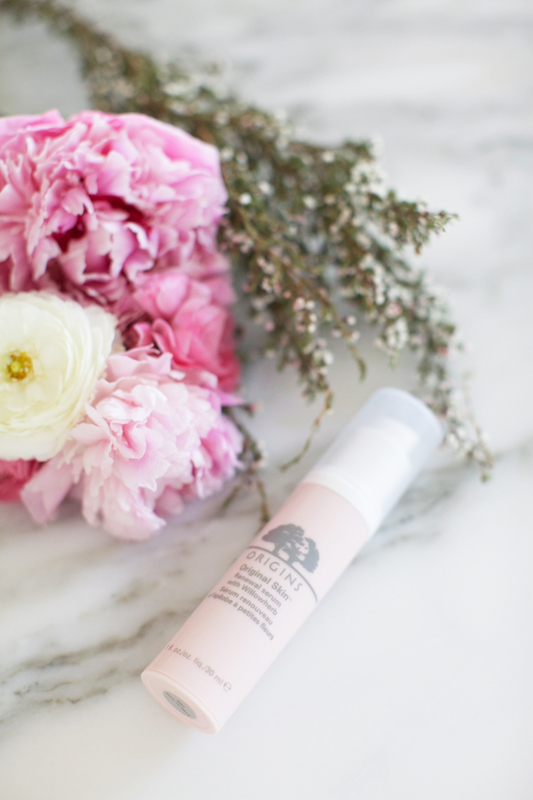 I have smooth skin for the most part, so I really look for those delicate creams that can keep it that way! I’ve been so excited about the launch of this new product from Origins and I can’t wait to give it a try! I too have really sensitive skin and I’m always on the hunt for a soothing moisturizer that helps maintain and balance my skin. Beautiful photos! I’m obsessed by Origins everything! I LOVE the Origins brand. Their moisturizers are amazing and one of the favorites. Hey Rachel! Can’t wait to try out this product and see if it can get rid of some texture on my skin too. I love the overnight hydrating mask by Origins, it’s amazing!!!!! Sounds like an awesome product and I was excited to see that it is affordable too! What color nail polish are you wearing? I really like the color. I’ve been wanting to try. It’s so overwhelming deciding which serum to get when there’s so many! I’ve been looking for a product just like this! Thanks for sharing :) By the way, I can’t wait to see your blog post from your baby shower! I bought this a couple weeks ago as a 25th bday present to myself and I am so excited to start using it! Hey! I’ve been obsessing over these baby girl names. I just started using Origins products a few months ago and I love them! I think I will need to give this a try. thanks for sharing. I just bought this the other day and absolutely LOVE it. 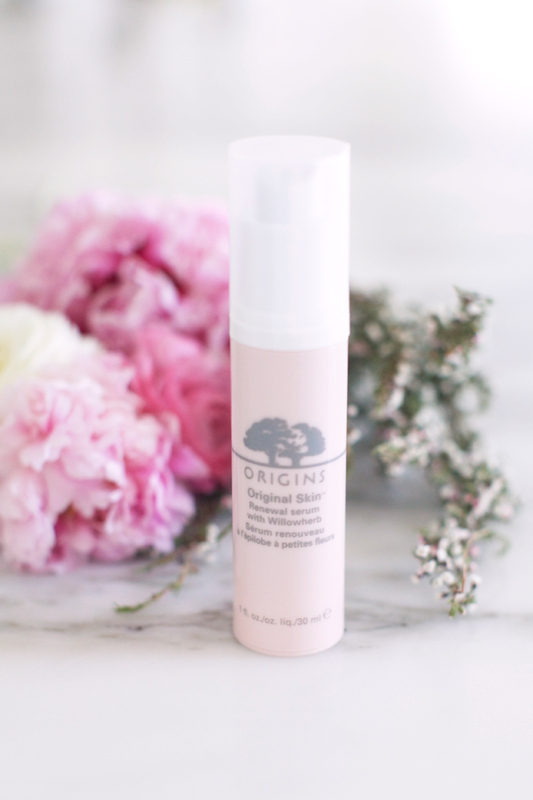 Origins is my all-time favorite skincare line, and this product definitely doesn’t disappoint! this serum sounds perfect for me!! thanks for the recommendation! I love Origins! Perfect compact bottle too! I also just learned about Cerave. Awesome stuff, super cheap. Check it out under my beauty section! These photos are so beautiful and I am definitely checking out that product! I’ve heard great things about Origins! Sounds like a lovely product thanks so much for sharing!